Many organizations today rely on web-based software to communicate, collaborate, and organize information with unprecedented ease. While web applications are by no means a new innovation, they have become very sophisticated in recent years. It seems like there's an app for just about everything these days, but why? Web apps are designed to optimize workflows by automating tedious, time-consuming, and labour-intensive tasks. They're also far more accessible than their predecessor - the desktop application, which is limited to being installed on one computer or network. Web apps, on the other hand, allow multiple team members to log in and work collaboratively from wherever they have internet access. This means that team members can easily collaborate; even at great distances from one another. As a result, organizations often experience a significant productivity boost upon switching to a web-based software application. Paper surveys are by far the most inefficient data collection method out there. While most organizations have already transitioned to some form of digital data collection, some organizations still rely on paper surveys to collect data. This process is very time-consuming (and wasteful) for everyone involved. 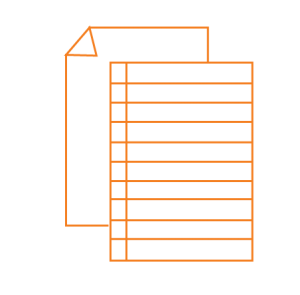 Let's break down paper-based data collection to understand why all organizations are destined to go digital. A problem inherent to using paper forms is the reliance on the postal service. It's no secret that mail often gets lost, delayed, or damaged; we've all been there. So how can you be sure your surveys will be delivered to your reporters on time, or delivered at all? Even if paper surveys reach your reporters without disruption, those same surveys will re-enter the mail system when reporters send them back. That’s a lot of risk for only one survey! Now multiply that risk by every reporter, every survey, and every reporting cycle to see just how much of a headache paper forms can be. By choosing this process, you're forced to sacrifice a lot of control by relying on the postal system. Putting aside the risks and inefficiencies of mailing paper forms, paper-based processes also require a great deal of materials to accomplish a reporting cycle. Think about it: each reporting cycle will require ink/toner, paper, envelopes, stamps, fuel, and more. The dawn of the Information Age has rendered wasteful processes like these obsolete. In fact, the internet has evolved so rapidly that large-scale data transmission takes only seconds. Save a few trees by trading paper for pixels. Okay, let's say that you've chased down every single survey and you're ready to start analyzing the data. Checking each paper form to confirm that it contains all the required responses is labour-intensive and highly inefficient. If a reporter has neglected to complete a required response, you'll have to contact them to capture the missing information before continuing with your analysis. Wouldn't it be nice if missing information was caught before it even gets to you? Once you've collected all missing information, the next step is to aggregate the survey responses by manually entering them into a single document: often a spreadsheet. This stage usually requires response format corrections to avoid spreadsheet calculation errors. For example, if a reporter responded to a question using the written form of "six" then you'll need to manually correct it to use the numeric "6" so your spreadsheet calculations will work. Imagine the time you'd save if format errors were caught in real-time. Collecting data using paper surveys is a slow and arduous process that requires many resources to complete a single reporting cycle. Web-based data collection systems automatically flag errors. Never lose a form in the mail again. You get notified when a response has been submitted so you don't have to keep checking the mail. Speeds up data aggregation and analysis. Saves time, trees, fuel, money...and your sanity. Spreadsheets are versatile and they're great for managing specific types of data but they have major limitations. 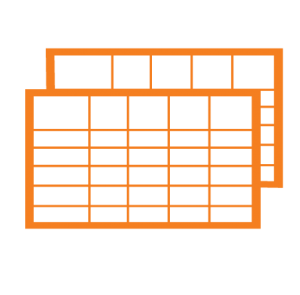 Spreadsheets aren’t designed for large-scale data collection, aggregation, and analysis. One of the biggest challenges with using spreadsheets is that they can introduce data entry errors, calculation errors, and circular references. They can also introduce significant risks if you use them to manage large quantities of data: calculations and formulas are fragile in spreadsheets, and can result in a cascade of issues. It can become even more complex if you have multiple versions of your spreadsheet floating around and you’re not sure which one is the most recent. Worse yet, files can be deleted, overwritten, or lost altogether. Wouldn't it be nice to know you're using the latest version of the system and that it's regularly tested for quality assurance? It can flag errors for you so you don't have to chase each one down. Web-based systems are backed up so you will never lose your work again. You can easily manage historical data all in one place. Audit trails ensure you know what changes were made, when, and by whom. Online systems include features to help you check the quality of your data so you can have confidence in the results. Homegrown reporting systems are challenging to develop and costly to maintain. While it’s true that they offer organizations a lot of control, they also take a long time to set up and require significant resources to build. 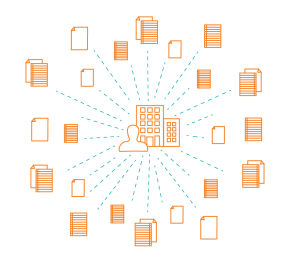 Imagine if you needed to request IT resources every time you needed to make a small change to your data collection system; and what if those changes are urgent? Homegrown systems are usually designed with care at the beginning but as we all know, things change, and improvements will always need to be made. What’s gained with the development of a homegrown solution is often lost in the subsequent years of program changes, maintenance, and support. But what if you could have a system that was automatically updated with new features and enhancements? Requires internal resources to develop. Takes a long time get set up. There are no automatic software updates. An IT team can’t be expected to advise on the best way to collect data (not experts). There is limited support available for administrators and reporters alike. Lacks a dedicated quality assurance testing process to ensure systems are functioning as expected. This leads to our final option, and obviously our favorite. Web-based software is a smart investment for organizations collecting waste and recycling data. It’s designed specifically for efficient data collection, large-scale aggregation, and real-time analysis. Good software applications ensure data is standardized to reduce errors, saving you from having to chase down missing information. It also facilitates consistent communication, instantly aggregates data, and offers best practice reports to analyze program performance. Investing in web-based software also comes with the benefit of experience, quality assurance testing, and technical support. You never have to worry about maintaining the system and software updates are automatic. Is your organization ready to invest in a proven web-based software solution? Data collection, aggregation, and analysis is completed in just minutes. Best practice reports can be generated at any time to get the latest insights. Experienced staff will provide expert advice about data collection methods. Regular Quality Assurance testing ensures you have confidence in the collected data and the resulting analyses. Technical support is available to assist both program administrators and reporters.